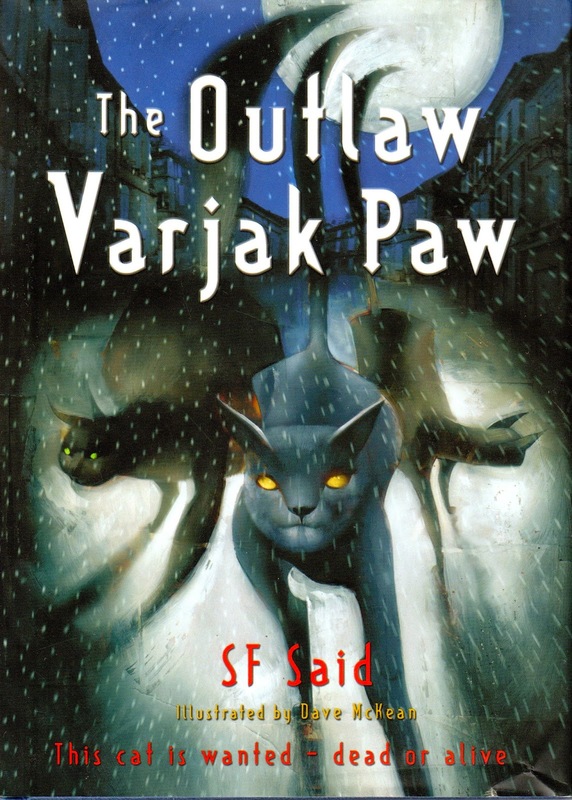 'The Outlaw Varjak Paw' by SF Said is a middle-grade action/adventure set in the world of city cats. This is actually the second book in the Varjak Paw series (which I didn't realise until I was part way through!) but it can be read as a standalone. Varjak Paw is a silver-blue cat with amber eyes living in the city with his friends Holly, Tam and a dog Cludge. It is winter and there are very few mice around so the gang are hunting for scraps of food in the city dump when they are found by a patrol from Sally Bones's gang. Sally Bones, a thin white cat with an ice-blue eye controls the largest and most menacing gang in the city. Her 'laws' make it almost impossible for the other cats to find food. Sally is in charge because she knows a special way of fighting and is unbeatable. Varjak also knows this way of fighting. He calls it 'The Way' and was taught it in his dreams by his ancestor Jalal. A member of Sally Bones's gang, Razor, tries to take the mouse that Varjak has caught outside the dump and Varjak gets angry and uses The Way to beat Razor in a fight. Suddenly, the whole city is talking about this new cat who fights like Sally Bones, and she has put a price on the head of him and his friends. Can the outlaw Varjak Paw defeat Sally Bones and free the city from her rule? I thought this was a great little adventure story for both children and adults alike. Partway through the book Varjak thinks that he has lost his power to fight but his friends still believe in him and he gets it back, which I think is a great message for kids about confidence and believing in yourself. The book is wonderfully illustrated by Dave McKean. The illustrations really bring the fight sequences to life and I loved how in Varjak's dream chapters there was the blue and white background of the mountains of Mesopotamia. I would recommend this book to both children and adults looking for a quick fun read. I enjoyed it so much that I have now bought the first book, and am looking forward to reading it! Let me know in the comments of you've read this book and what you thought of it! "When 13-year-old Tab Baird starts at a new school, she's determined to be the coolest, most popular girl there - whatever it takes. She adjusts her school skirt so it's just the right length. She has enough attitude to make it into the in-crowd. She even gets the attention of the hottest guys. But it's not easy being uber-cool. No one must find out that her mum, brother and her have moved into her Gran's house, so she tries to persuade Gran to pose as a house-keeper. And if anyone discovers her mum's blog - about her teenage daughter - it'll be the ultimate in social death." 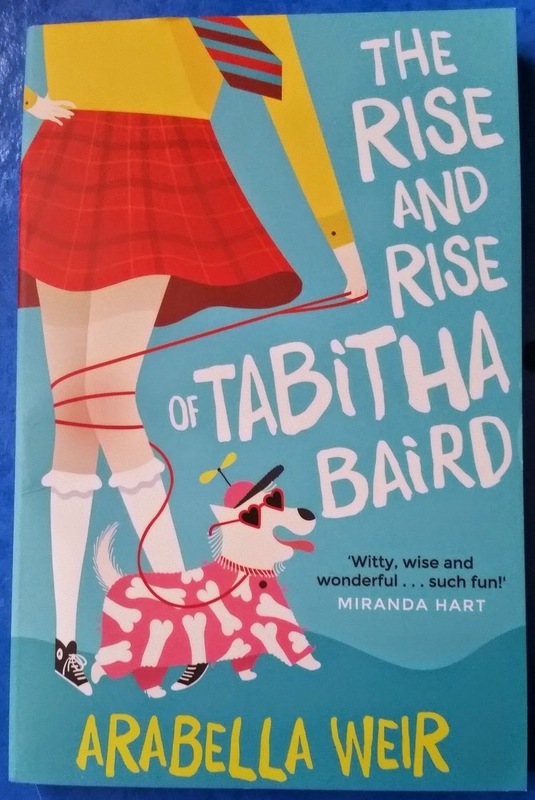 ‘The Rise and Rise of Tabitha Baird’ by Arabella Weir is a middle-grade novel about a thirteen year old girl starting a new school. This is the first in a new series about this character. I won a copy of this book through the Goodreads Giveaway program to review. Tabitha Baird, known as Tab to her friends, is a teenager from a broken home. The story starts on her first day at her new school. Tab’s father is an alcoholic who has lost all their money and her parents have split up. Tabitha, her mum and her ten year old brother Luke, have moved in with her Gran in London. Tabitha is nervous about starting her new school. She was previously at Greyfriars, a posh private school, but is now forced into a local comprehensive Heathside Academy (HAC). Tab is determined to fit in, make friends and be popular. She thinks the only way she will get friends is to be daring and wind up the teachers. This was such a fun read! 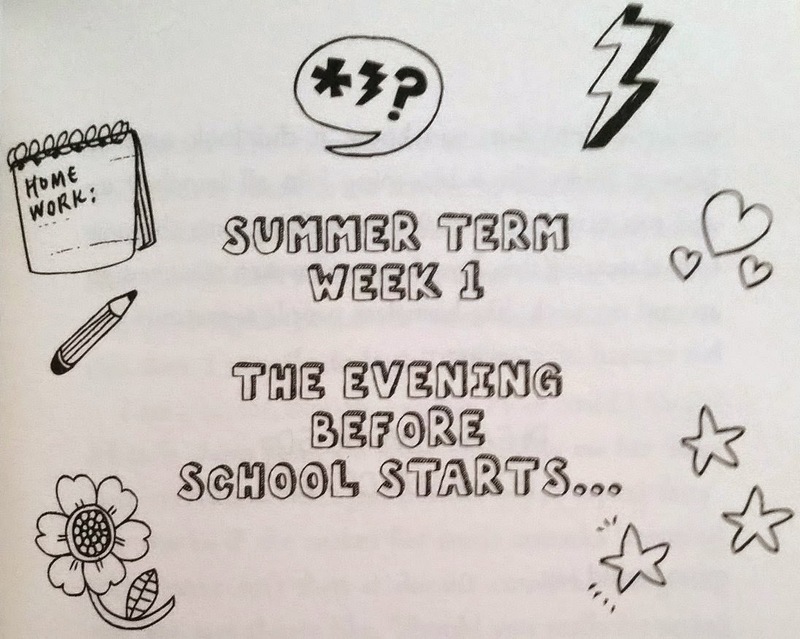 The chapters are set out like the pages of a diary and the book is written in the first person from Tabitha’s point of view. It really feels like it has been written by a thirteen year old girl. The language is simple (great for younger readers!) and the author uses abbreviations like ‘obvs’ for ‘obviously’ and ‘geddit’ for ‘get it’. The way Tab acts with her family is spot on for a lot of teenage girls. She’s sulky, stroppy, moans about her mum and thinks her brother is disgusting, but by the end of the book she learns that she really loves her family, which I think is a really nice moral. 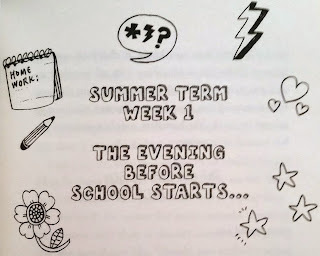 The diary format also leaves space for little illustrations and fun fonts on the chapter headings. I thought this was such a great book for both children and adults. I would recommend it to people of the younger generation looking for a quick, fun read. Let me know in the comments if you're read this book and what you thought of it!